I am finally starting work on a project that I have wanted to do for years, looking at the interplay of poverty and education in the United States. I will be following students and families from a school for homeless children in OKC. 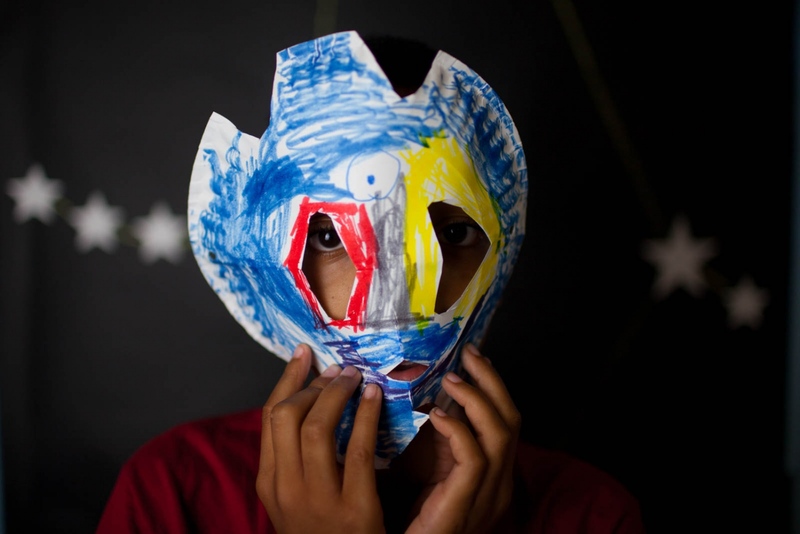 When I visited this last week, the kids at camp wanted their portraits made with the masked they were working on. My goal is to use different communites around the U.S. to see how the education system is dealing with struggling communites stuck in the cycle of poverty. Historically, education is seen as the great equaliizer, but is there equal access to education? I hope to find out.